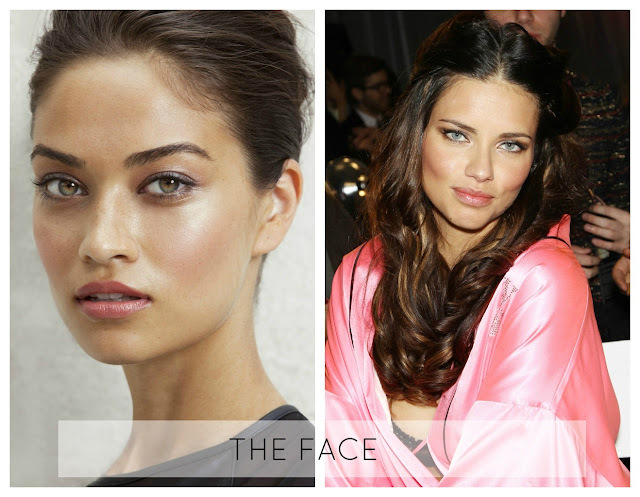 Is Shanina the new Adriana? Their similarities are obviously noticeable- from the dark hair to the eyes, to the stunning bodies & obviously the Victoria's Secret contract that takes models to 'supermodel status' in a heartbeat. To some, Adriana's modeling years are coming to an end given the fact that she's 31, but is Shanina Shaik (age 21) going to be able to follow in her footsteps? All Shanina pics on the left, Adriana's on the right. Both stunningly beautiful money making faces. Shanina, however, reads more editorial to me. This is a definite win for Adriana, her body is out of this world! Even though Adriana has supermodel status (which she's rightfully earned), Shanina walked the VS Fashion Show for the first time this year. Still, Adriana is the queen of the runway. I'm a huge fan of Shanina's style which comes off as a bit edgy. She also rocks streetstyle constantly unlike Adriana who flies under the rather in terms of her personal style. No denying it here, Tyson Beckford wins by a landslide! Click HERE to follow my Facebook page & on Instagram by searching me as "aluciagutierrez"
1 comment on "SHANINA SHAIK VS ADRIANA LIMA"
I loveeeee Shanina Shaik, shes absolutely stunning. I think V.S definitely needs to give her Angel Status, because shes mixed and different from the Brazilian invasion.